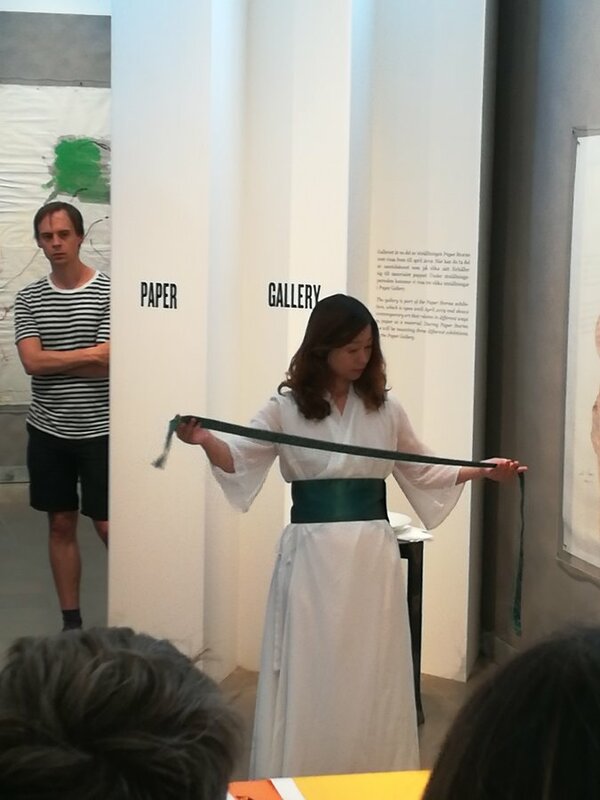 A large-scale art exhibition of "The Story of Paper" organized by the Swedish Museum of Far Eastern Antiquities. 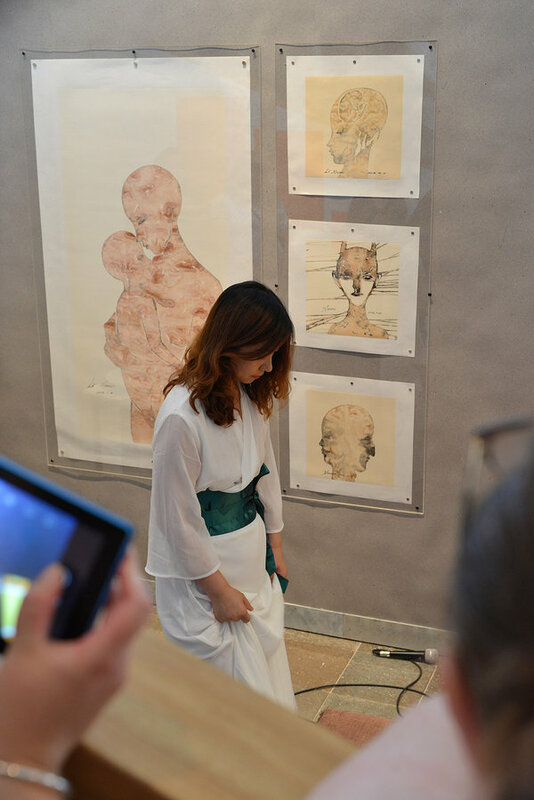 The exhibition revolves around the theme of paper and exhibits paper-related works from ancient times to modern countries such as Japan, Korea, and China. Including Japanese ukiyo-e prints, Japanese paintings, ancient Chinese calligraphy and paintings. These works are from the collections of the museum. 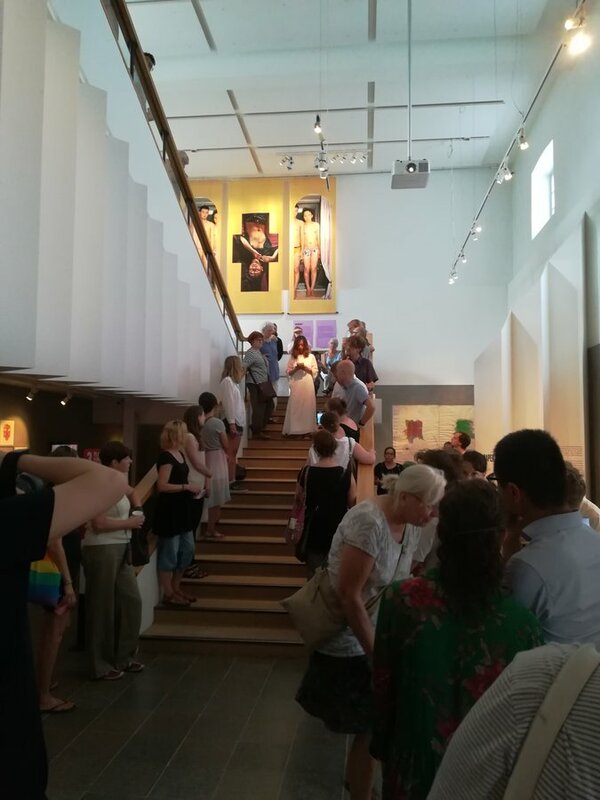 The exhibition also featured Chinese contemporary art works collected by the museum. 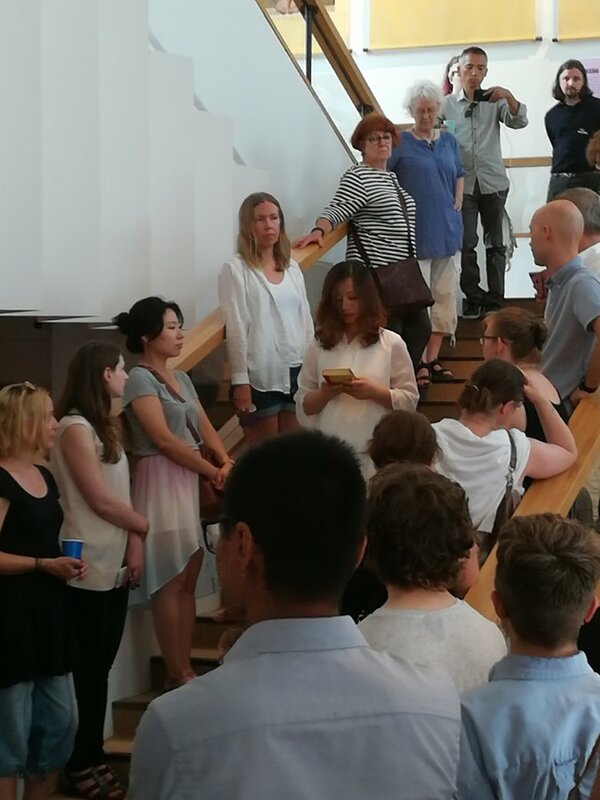 Chinese artist Li Xinmo was the only invited artist to participate in the opening ceremony of the exhibition. 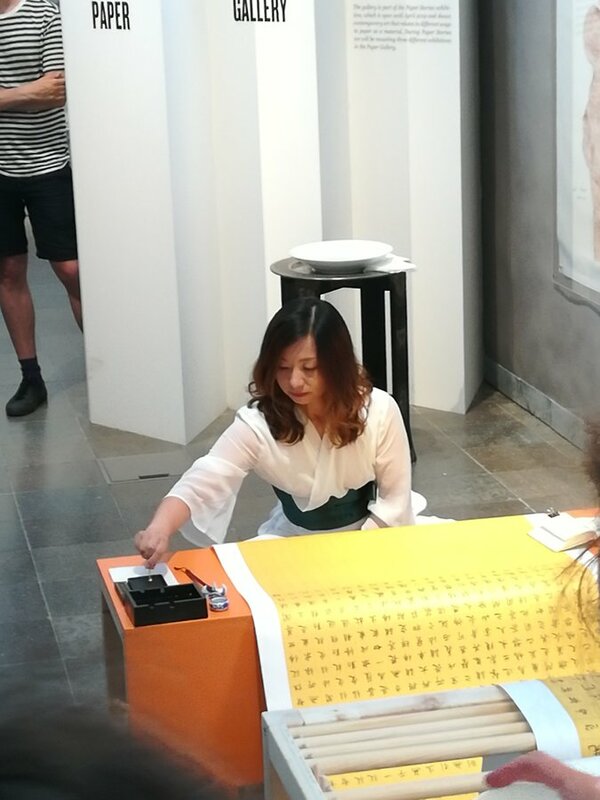 This exhibition showcases her collection of paintings that have been collected by the Swedish Museum of Far Eastern Antiquities, as well as the calligraphy act installations she created for the opening of the exhibition. 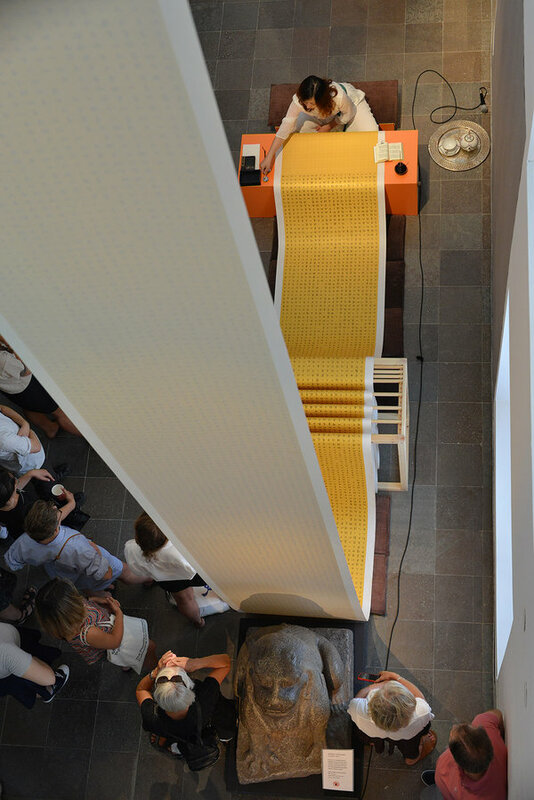 A 30-meter long roll hangs from the air and folds over the wooden shelf until it extends to the writing desk. The huge masterpiece is spectacular, attracting many Swedish audiences and stunned. 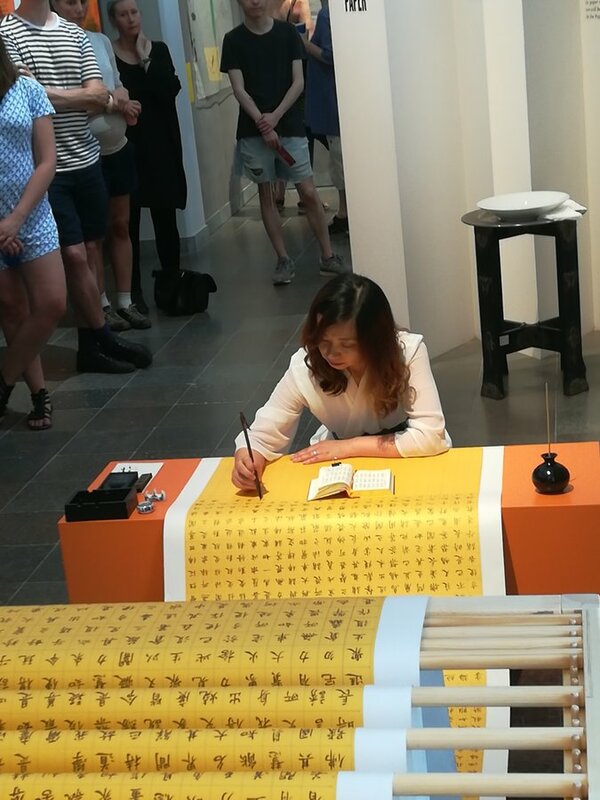 At the opening ceremony, she recreated the rituals of ancient writing in the form of live performances, and replaced the writings that were originally only male. 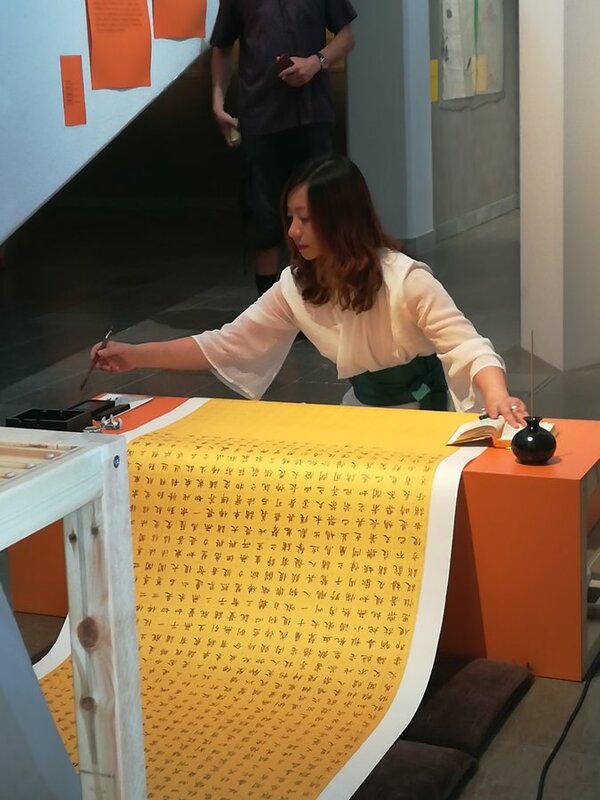 The Swedish audience was able to watch and feel the writing process of calligraphy and left a deep impression. 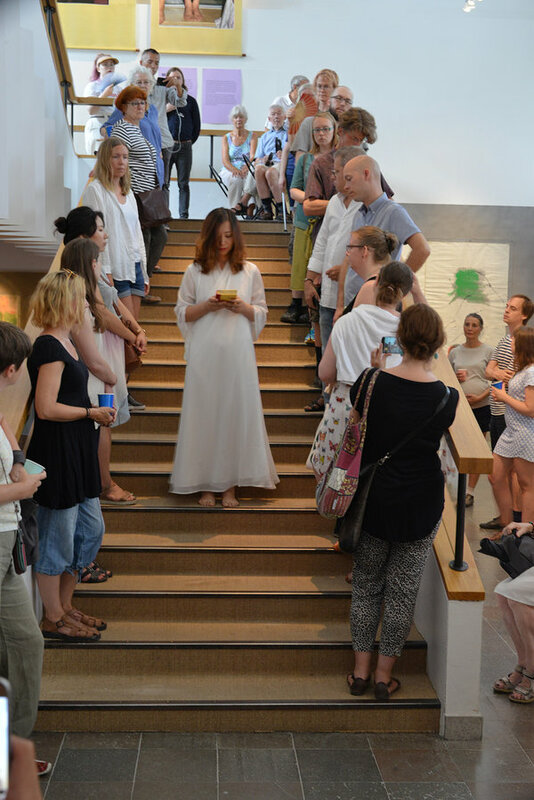 This exhibition has caused great repercussions in Sweden. The people who came to visit are full of people. 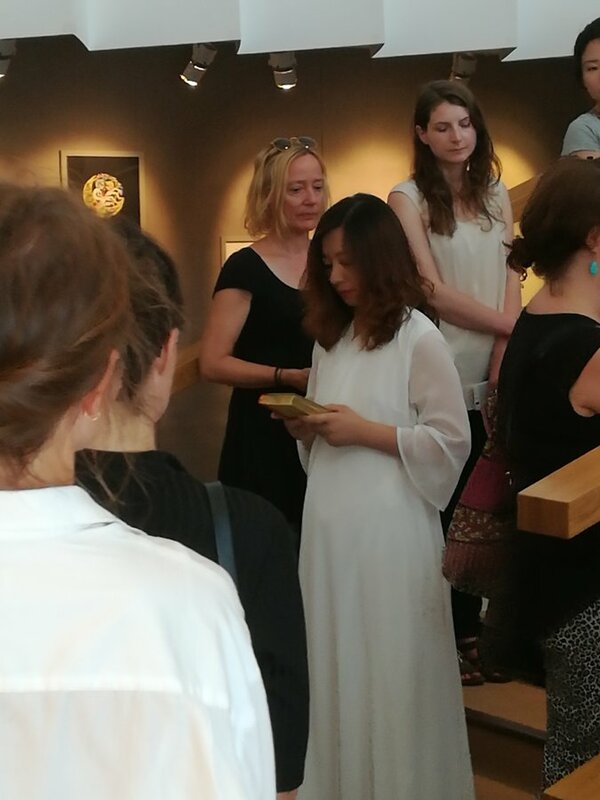 They are immersed in the art world about paper and feel the unique charm and value of oriental art.